The S&P 500 ( ^GSPC) has been resilient this week despite the rising chances of a Fed interest rate hike in the coming months. One of the reasons? Strong data on US new home sales in April, which grew at the fastest rate in eight years, supported the view the economy may be strong enough to withstand an interest rate increase as early as June. And one key housing executive agreed. 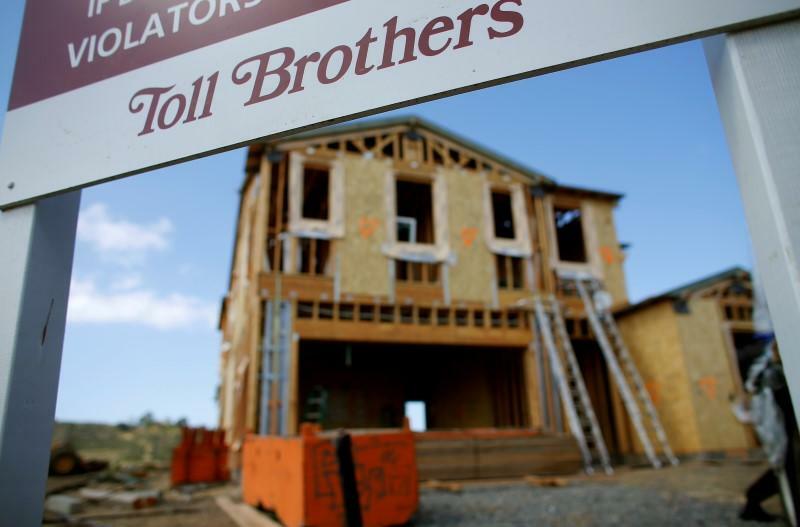 During Toll Brothers' (TOL) second-quarter conference call on Tuesday afternoon, Chairman Robert Toll said that rate increases could actually spur demand. US home prices rose 5.7% in the first quarter of the year from a year earlier, according to the Federal Housing Finance Agency (FHFA). This marked the 19th consecutive quarterly gain. Toll added that a recent US Census report indicated suburban populations are on the rise, which is supportive of the new home market. “As millennials mature, studies indicate that their appetite for homeownership is consistent with past generations, which is, of course, encouraging for our industry,” he said. Toll reiterated the importance of the strong April new home sales data. “The release stated this represents a supply of 4.7 months at the current sales rate. With a little bump in demand we could be off to the races,” he said.